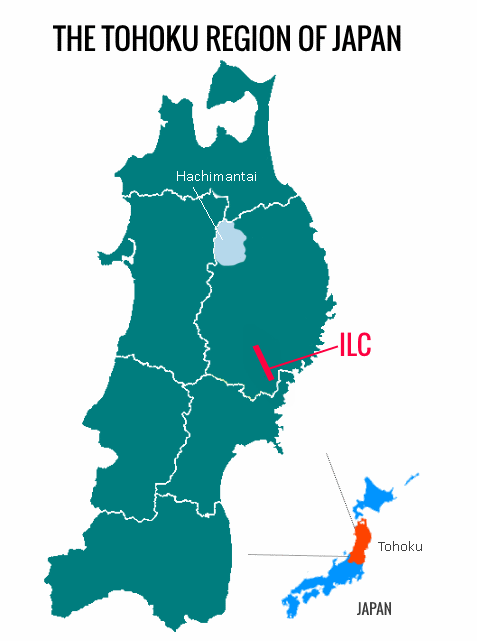 For our ILC Relay series, we interview the people of Iwate who support the ILC project, in order to show how all of Iwate is coming together to support the collider. 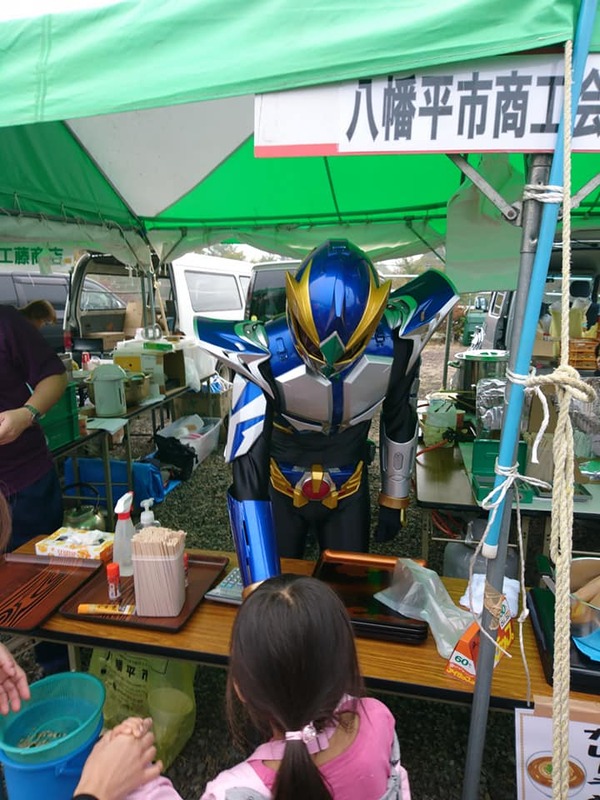 This time, we’ve got a super special guest –Hachimantyler, the powerful hero of Hachimantai City in northern Iwate has beamed down to give us his (?) thoughts on the ILC! His full name in Japanese is Ganju Goshin Hachimantyler, which literally means “rock eagle protection god Hachimantyler ,” and which I’ve creatively translated as Protective God of the Rock Eagle. In this case, Rock Eagle is just a metaphor for Mount Iwate, the largest mountain in Iwate, as the mountain face sometimes looks like an eagle when the snow melts in the spring. I am the Protective God of the Rock Eagle –HACHIMANTYLER! 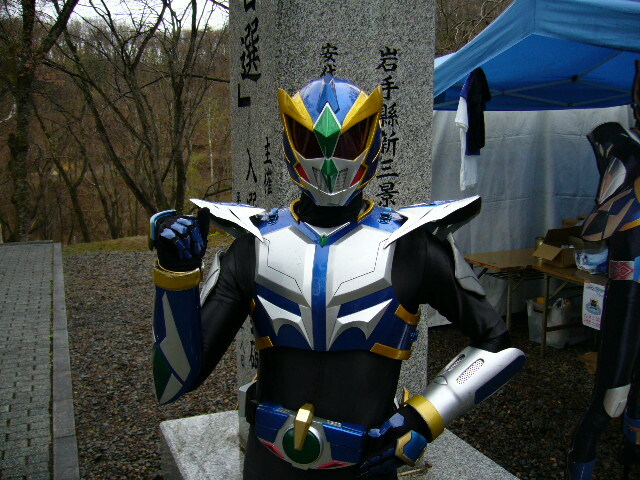 I protect the PEACE and SAFETY of Hachimantai City. Q）What is a typical day for the protective god of Hachimantai? 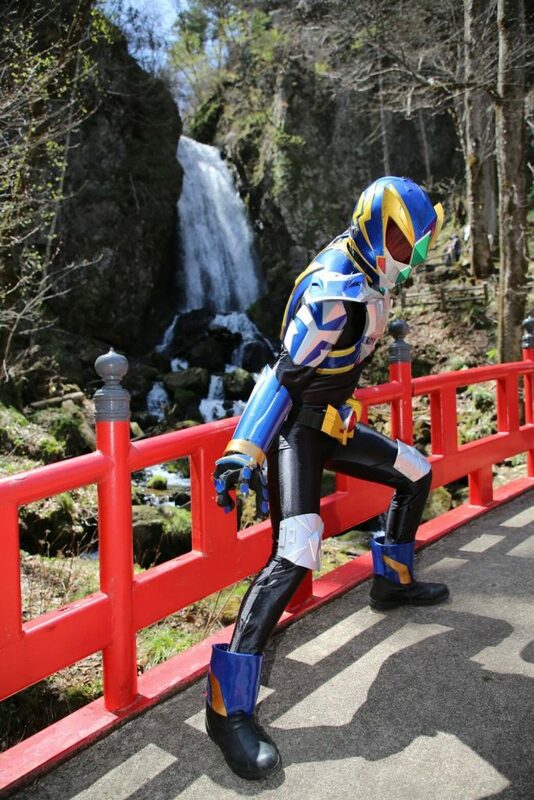 In order to protect the PEACE and SAFETY of Hachimantai, I do my training on the peak of Mount Iwate, and from that perch, I also look over the people of the city. I’m invited to events in the city, where I meet with the city residents and tourists. 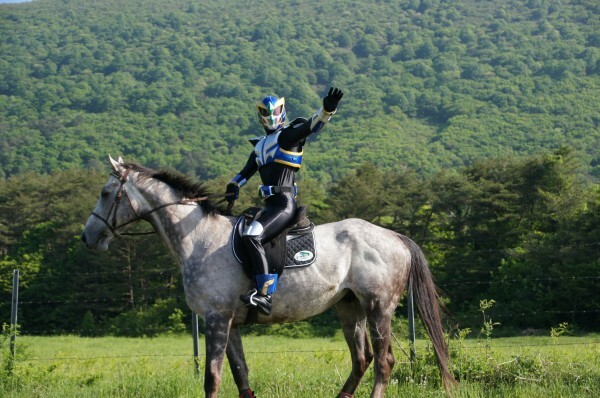 Sometimes I go outside of Iwate to spread the word about the AWESOME sights of Hachimantai!! Q）Can you tell us about some of those awesome sights of Hachimantai? 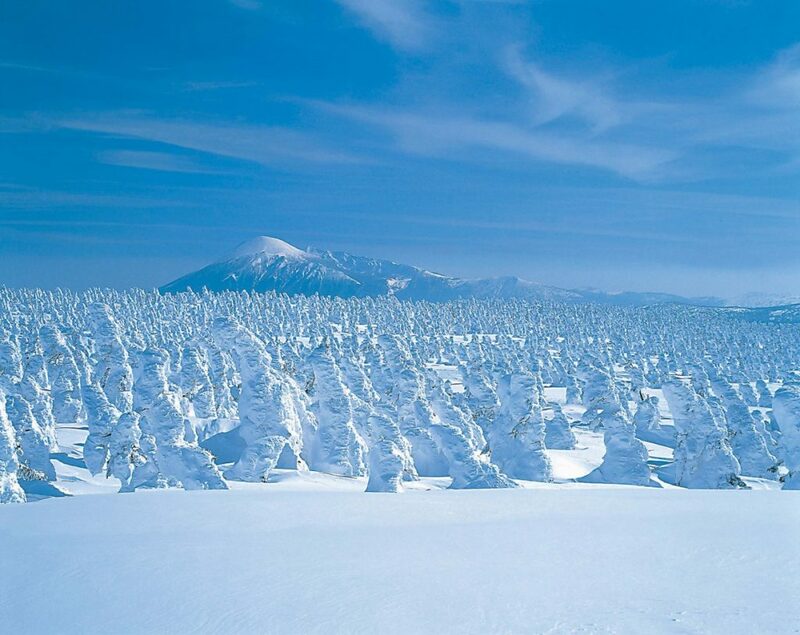 Hachimantai is FULL of fantastic things to see and do: some of the BEST hot springs in Iwate, ski resorts with powder ON PAR with Hokkaido, and an ABUNDANCE of beautiful natural scenery. Many people from around Japan and around the world come to see us here. *Ice monsters are just trees covered in snow and frost. That’s how cold it gets here! 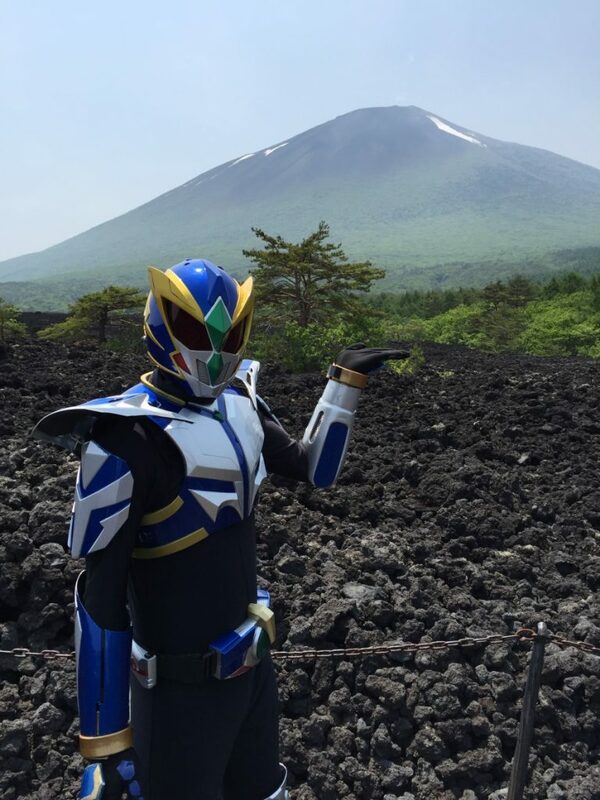 Here are some of my recommended spots: the Yakehashiri lava flow on the side of Mount Iwate, the Matsukawa Geothermal Power Plant, and the Fudo-no-Taki Waterfall. Without a doubt, these majestic sights will HEAL your tired spirit! We also produce a TON of agricultural products, and are known throughout the country for our spinach, mountain grapes, and gentian flowers. *This is a petrified lava flow from an eruption of Mount Iwate in 1719. The national government has designated it a special natural monument. Want to learn more about touring Hachimantai?! Visit our site! Q）What are your hopes for the ILC project? The ILC will uncover the mysteries of the origins of the universe, and stand at the forefront of world science. With such a facility in Iwate, I hope that people from around the world come to visit the prefecture! Q）Do you have any messages for foreign researchers and readers abroad? 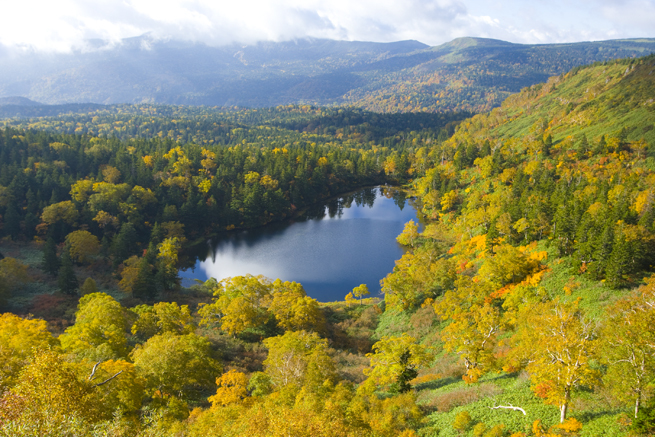 I’d love for you to push forth your research in the lush natural environment of Iwate. I hope that Iwate becomes the frontier of human knowledge with your arrival! Don’t forget to watch Hachimantyler’s amazing theme song!!! !